Today we are making Valentine’s Day cupcakes. 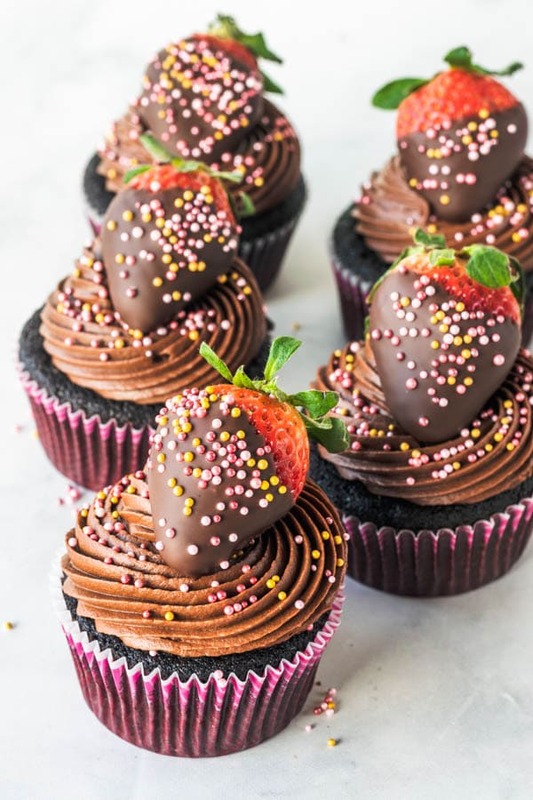 I feel like these Chocolate Strawberry Cupcakes have a very romantic vibe to them. Well, let’s be honest, chocolate covered strawberries are the ultimate love food. So these are my love cupcakes! First, I LOVE the flavors. 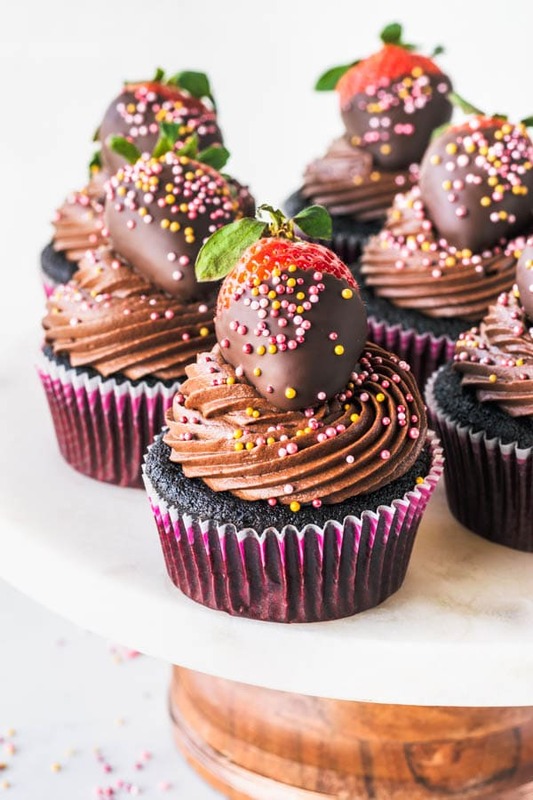 The most moist chocolate cupcake, filled with a white fudge filling, that tastes like heaven itself, and chopped strawberries. Then, we frost the cupcakes with the BEST chocolate frosting I have ever made (Also featured here). 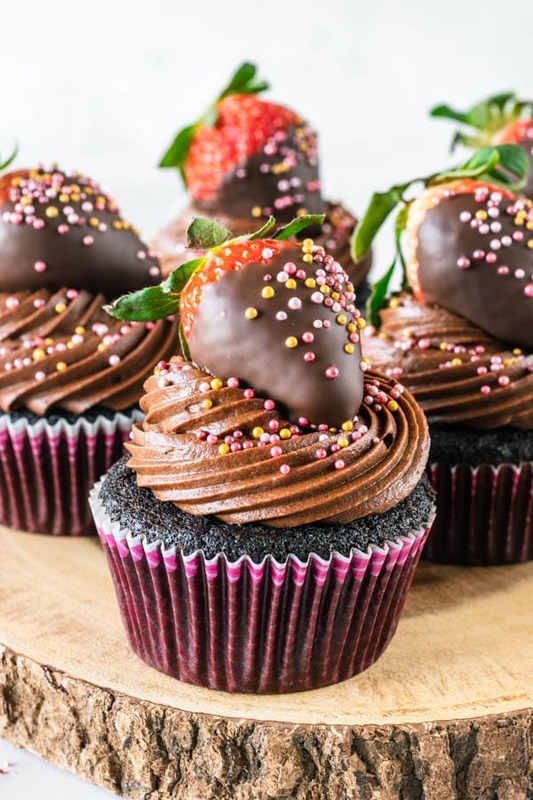 To finish, we top the cupcakes with delicious, juicy chocolate covered strawberries. We added some sprinkles to make this a bit more fun, and the colors evoke the Valentine’s Day spirit. You can also melt some pink candy melts and drizzle over the strawberries instead of using sprinkles. That was actually my original plan. I want to talk to you about the fudge filling in the Chocolate Strawberry Cupcakes. This white fudge filling is a very very simple recipe, easy to make, quick, and makes for one of the best tastes of my childhood: the famous brigadeiro. I am from Brazil and brigadeiro is a staple at any children’s birthday parties. Brigadeiro is simply a condensed milk fudge. You make it by cooking the condensed milk with butter + flavorings, on the stove top, until fudgy and to the right consistency to whatever you want to use it for. If you are using this fudge for cake fillings, you want to cook it a little bit less than if you are using it to roll into balls and make truffles. 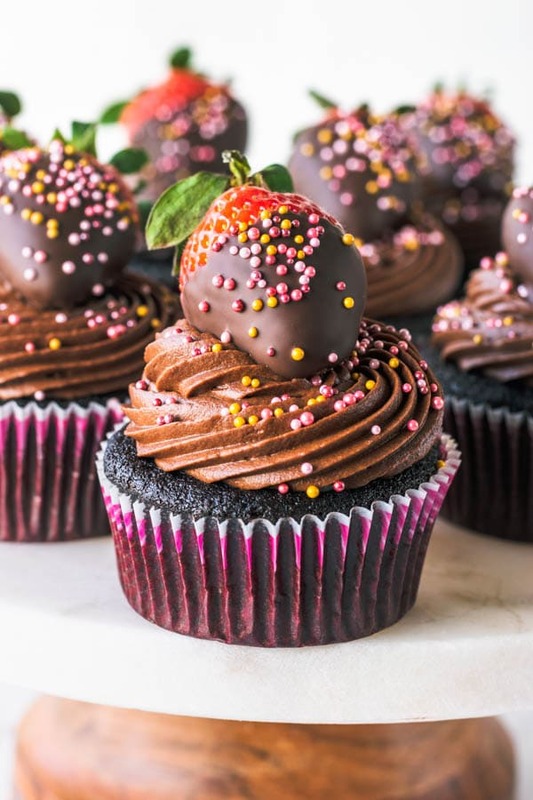 Anyway, here are some recipes where I use this fudge: Almond Cupcakes, Death by Brigadeiro Cupcakes, Macadamia Coconut Cupcakes, Chocolate Strawberry Cake. This is a very versatile filling for cakes and cupcakes. It can be made into so many different flavors. And not to mention how incredibly delicious it tastes. So, I finally mustered the courage to make a video. It’s one of my very first videos, please bear with me as I embark on this journey of learning how to make videos! 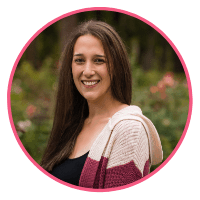 I’ve been so intimidated by it, but I have nothing to lose, only to gain, so I am taking on the challenge. Which is why I am here to show you my very first video of how I decorated these cupcakes. With more practice and skill acquisition, I will start putting out some better quality videos! That’s what it’s all about. I am glad and thankful you’re being a part of my journey as I learn and figure all of this out. Some of you have been with me since day one, since my first recipe (Dulce de Leche Snickerdoodles) and I am so blessed and grateful to be able to share my passion with you all. 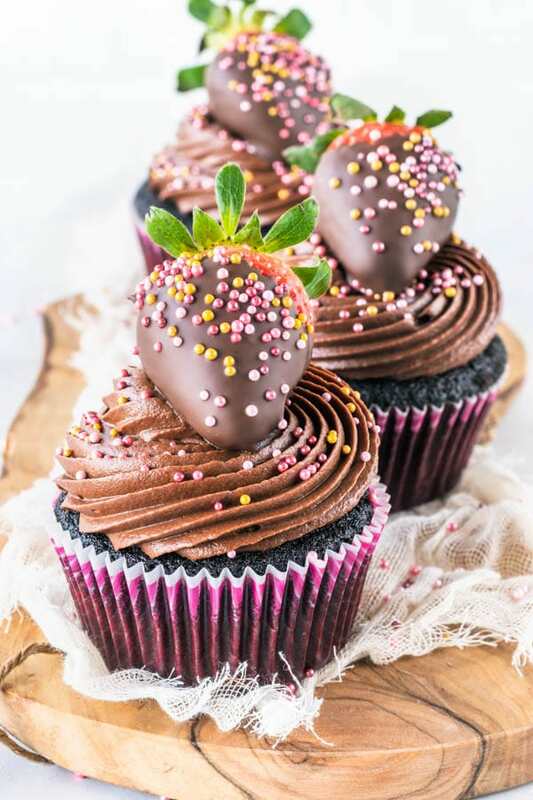 These cupcakes are inspired by my Chocolate Strawberry Cake. 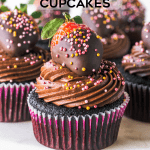 They involve pretty much the same elements, so they would pair up so nicely if you wanted to bring cake and cupcakes to a party, plus you could just double batch everything and make your life easier! I hope you are celebrating Valentine’s Day in style this year. And perhaps my Valentine’s Day Cupcakes can be a part of it. Or who knows, maybe my Pomegranate Cupcakes too, since they are also romantic cupcakes, plus pomegranate is in season. And with this, I leave you. Not before showing you a couple more pictures of my cupcakes. 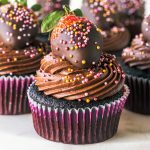 These Chocolate Strawberry Cupcakes are filled with a delicious white fudge filling with chopped strawberries. 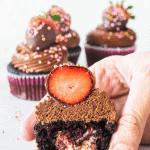 Topped with the best Chocolate Frosting ever, and a chocolate covered strawberry. Start by buttering the bottom and sides of a heat-proof bowl. Set aside. Bring it to a boil over medium-high heat, while stirring non-stop. You will stir for the entire time, so your fudge doesn’t stick to the bottom of the pan and burn. And that will happen in a split second if you don’t watch it. Once mixture comes to a boil, reduce heat to medium. Basically you will cook this mixture for 10-15 minutes, until it gets very thick and fudgy. To know when it’s done cooking, there’s a simple test, scrape the bottom of the pan right down the middle with your spatula or spoon, if you are able to see the bottom of the pan and mixture takes several seconds to cover the whole bottom of the pan again, you are probably done. Also, you can tilt your pan to the side, and if the whole mixture starts to slide down together, you are all set to turn the heat off. Instantly remove mixture to the prepared bowl. Let it cool completely, on the counter. You can refrigerate it and finish later if you want to, but you will have to let the mixture come back to room temperature to be able to spread it on the cake. While the White Fudge Filling comes to room temperature, you can start to get ready all the ingredients to make the Chocolate Frosting. Start by melting the chopped chocolate in the microwave, or over a double boiler. I usually just microwave the chocolate for 15-30 seconds at a time, always stirring in between to help the chocolate melt evenly and faster, without having to overheat it. You never want to overheat chocolate. Set chocolate aside to cool down. Now, sift the cocoa powder and powdered sugar together. Set aside. In the bowl of a mixer, combine cream cheese and butter. Cream for 2 minutes, until creamy and fluffy. Pour melted and cooled chocolate in the bowl of the mixer. Mix on slow until combined. Scrape the bowl to ensure everything is getting incorporated. With the mixer off, add sifted powdered sugar and cocoa powder. Mix on low until combined. Raise speed to high and cream for one minute. If frosting seems too thick, add 1-2 tablespoons of heavy cream, or as necessary. If frosting is too runny, it might need some more powdered sugar, so sift some and throw in there. Read the post above for some more troubleshooting. Prepare the strawberries by rinsing them thoroughly and letting them dry completely. Use a paper towel to remove any excess moisture. Chop chocolate and melt it. If using candy melts or dipping chocolate, simply melt it. Dip 14 strawberries one by one and place them on a baking sheet lined with parchment or a silicone mat. 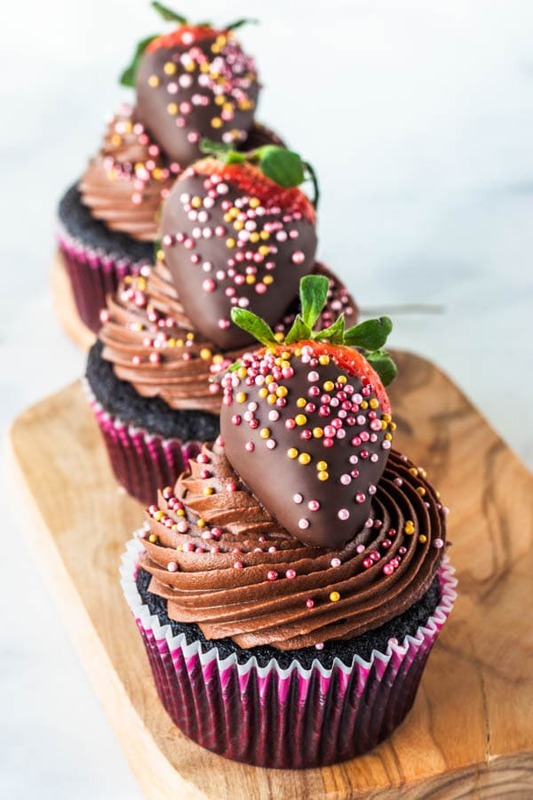 If using sprinkles, you want to sprinkle them a few moments after the strawberries have been dipped, so they are still wet and the sprinkles can stick to them. 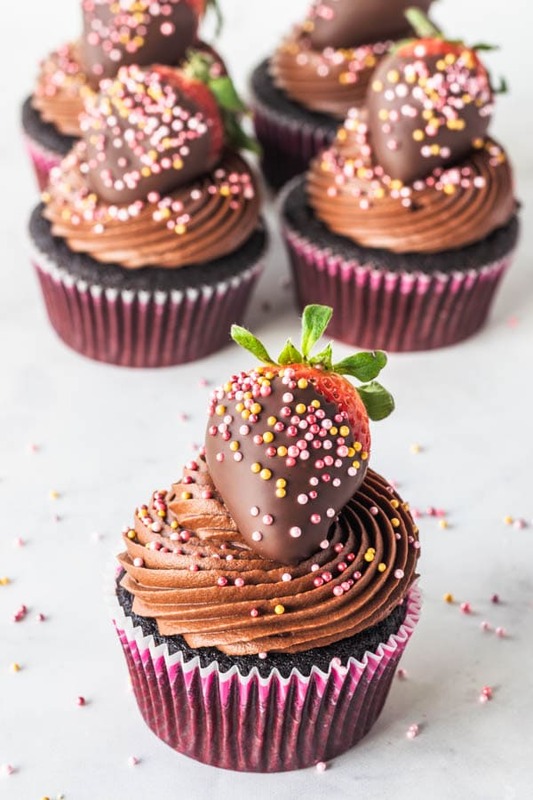 Let the strawberries dry completely, which may take longer or less time depending if you’re using candy melts, dipping chocolate, or regular chocolate. 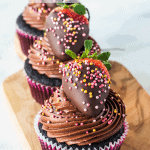 With the rest of the strawberries, just chop them and set aside to place in the cupcakes. Remove the inside of the cupcakes with a spoon. 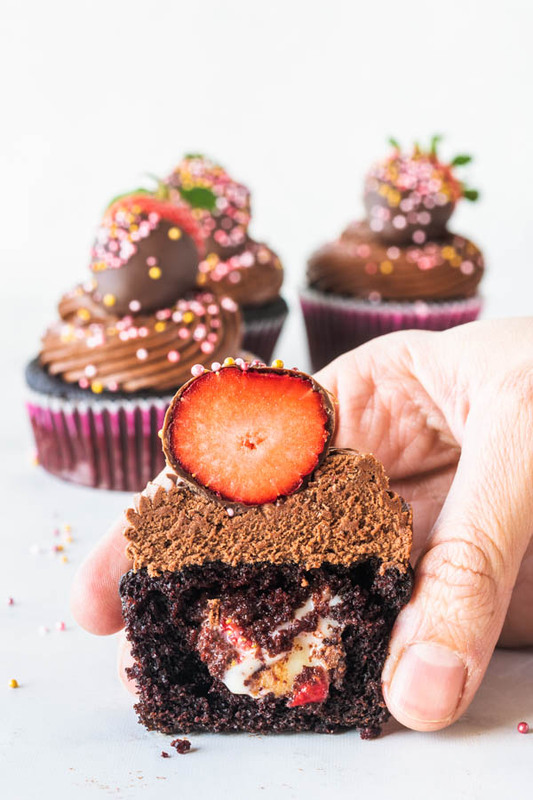 Put some of the cooled down fudge filling in the cupcake, and add some chopped strawberries on top of the fudge filling. Top with the top part of the cupcakes you removed. Place frosting in a piping bag fitted with the piping tip of choice. Pipe frosting over cupcakes. Place strawberry on top. Store in a container, in the fridge, for up to 4 days. Camila, nem tenho palavras pra essa gostosura!!!! Fantástica!!!!! !